A New Career in a New Town (1977-1982) includes five albums from the era, an EP and a disc of rarities on 11 CDs. Like previous outings in the series — 2015’s Five Years (1969-1973) and last year’s Who Can I Be Now? 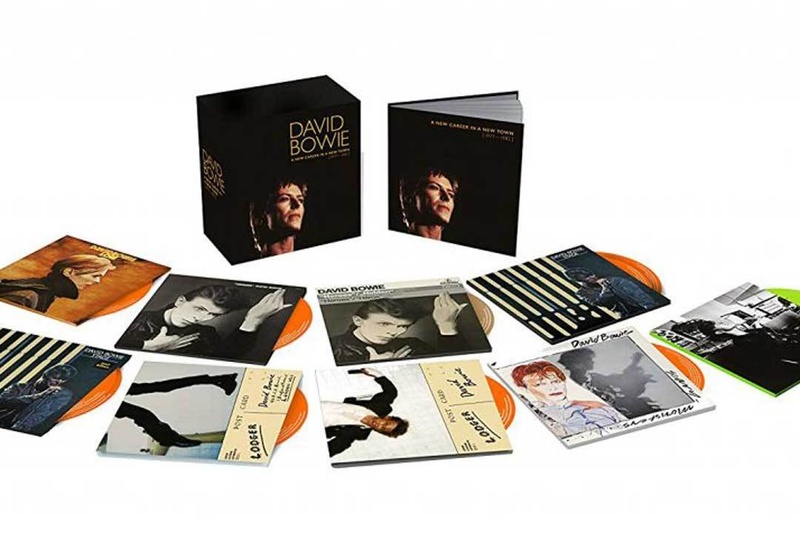 (1974-1976) — the new box chronologically collects a specific period from Bowie’s long career. In this case, it’s his celebrated Berlin Trilogy that’s at the center of set. Named after the city where much of the material was conceived with Brian Eno, the three studio albums from their collaboration — 1977’s Low and “Heroes” and 1979’s Lodger — marked a turning point in Bowie’s creative evolution. The three electronic-centered LPs remain among the most influential of his long career. A New Career in a New Town, which will be released on Sept. 29, also includes the “Heroes E.P.” that features German and French versions of the title song, the 1978 live album Stage, 1980’s Scary Monsters (And Super Creeps) and Re:Call 3, a new compilation of non-album singles, single versions and B-sides from the era. The five-song Bertolt Brecht’s Baal EP makes its CD debut here. The set will also include new mixes of the Stage and Lodger albums (the latter by producer Tony Visconti) in addition to the original versions.